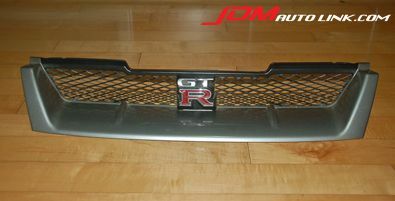 We have a mint condition Nissan Skyline R33 GT-R grille with the GT-R emblem. It is in excellent condition, there are no scratches, all brackets are intact and the plastic mesh is perfect. Email us if you are interested. Our email address is sales@jdmautolink.com.